Did you know that as many as 53% of out-of-hospital cardiac arrests happen in the presence of a witness? At least, that’s what the Philippine Heart Association’s records show. What’s alarming about it is actually shown by another statistic: that only 36% of those cases receive first aid. In most cases, bystanders simply do not know what to do. And that means more deaths. Over two decades ago, former President Fidel V. Ramos acknowledged the issue by issuing Proclamation No. 705. This declared December 6 to be National Health Emergency Preparedness Day. The proclamation noted that traumas and sudden injuries were among the top 10 causes of death for the country. Furthermore, it stated that one person died every 22 minutes from lack of first aid. Underlining the urgency is our geographic position. The country is one of the most disaster-prone locations in the region. 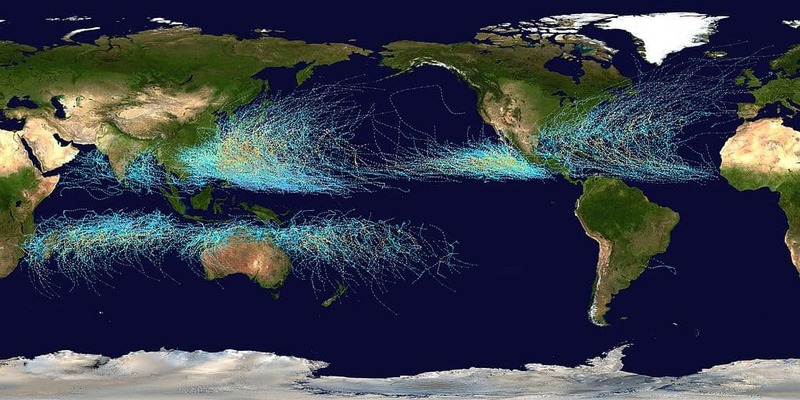 Typhoons alone wreak havoc on the country every rainy season. This image by Wikipedia user Nilfanion shows the Philippines virtually disappearing under global cyclone tracks from 1985 to 2005. Compounding this is the cascade that often follows one disaster. Typhoons touch off floods, which lead to massive displacement of people, landslides, destroyed transportation infrastructure, and so on. Between these and the Ring of Fire, health emergency preparedness is definitely a necessity. The Department of Health is only one player among the many tasked with promoting preparedness. The original proclamation also named the Department of National Defense, the Philippine Armed Forces, the Department of Labor, and the Department of Education, among others. The call for readiness runs all the way to the private sectors of society, in fact. This emphasizes a truth about emergency preparedness: that it necessarily involves everyone, not just health or emergency services. The educational sector has a serious role in apprising people of how to deal with emergencies, for instance. Fire drills, quake drills, and other such lessons have long been part of life in many academic settings. Law enforcement and security authorities can supply training and advice on identifying and reacting to threats. There are even seminars provided by these that advise people on minimizing threats once they present. Even environmental protection authorities have a part to play, given how many natural disasters here could be or already are worsened by poor ecological practices. In the aftermath of Typhoon Yolanda, for instance, authorities took to ecologically-sound bioengineering to strengthen and restore the destroyed areas, using plants like vetiver to mitigate further erosion of the soil. Individually, we can join in the preparations in a variety of ways. We give you a few of them below. 1. Learn basic first aid. Specifically, learn how to use a first aid kit and how to do CPR. There are actually classes offered by several agencies in the country, with some even more specialized than others (this one offers pediatric first aid, for example). Of course, if you have a friend who happens to be trained in this already—a doctor, nurse, or EMT—you can ask them to teach you instead, to save on the tuition fee. 2. Get a first aid kit. There are still a surprising number of persons who lack this in their homes. Take note that 1 is the minimum, by the way. Ideally, you should have one in each vehicle you own as well, or for traveling. You can make this up yourself by simply stuffing a valise with all of the medical paraphernalia you are most likely to need in a pinch or purchase a premade first aid kit from a pharmacy. 3. Prepare an emergency overnight pack for the natural disasters most likely to affect you. Do you live in an area of the country especially prone to tremors? Or is it a place where landslides or floods are common? Do power outages tend to be a problem? Do your traditional places of food often become unavailable. Prepare an emergency pack for each member of the family while thinking of these things. Generally speaking, you want light sources (a battery-operated torch), spare clothes, and emergency rations as well as a first aid kit in the packs. You may want to add things depending on your circumstances. If your area is one that sees flash floods, for example, add an inflatable dinghy or something of the sort. Lifevests would not be unwelcome either, especially if you have children. 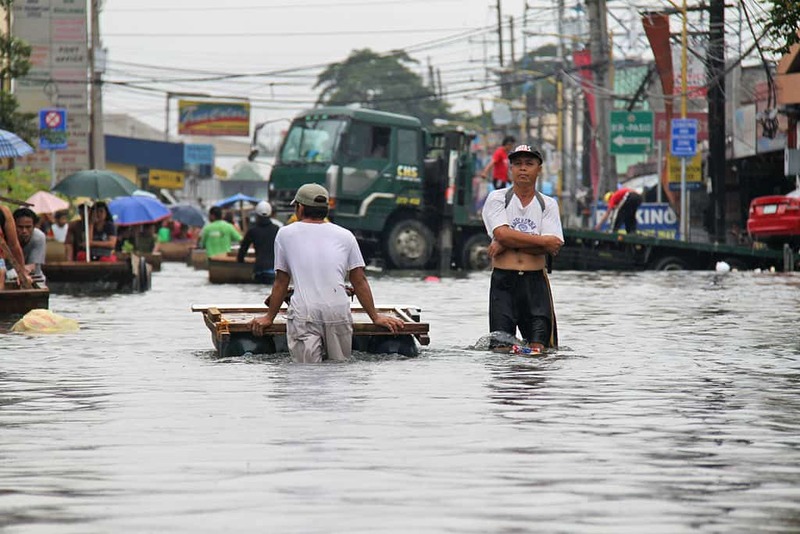 Typhoon Ondoy claimed drowning fatalities when it devastated the country in 2009. Having these ready beforehand is especially useful if the disaster is one you can potentially outrun: you can just grab your already-done overnight packs and relocate to a new area temporarily if you know a storm is about to threaten your home, for instance. 4. 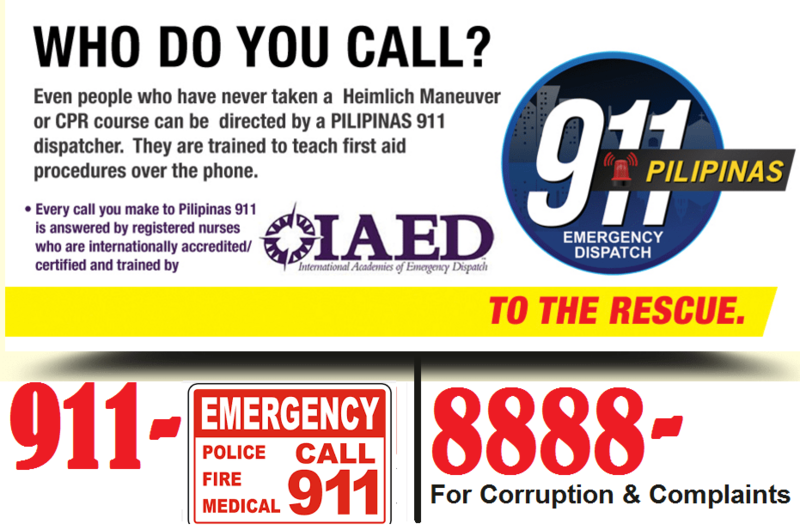 Know the emergency numbers in the country. You can start with the basic 9-1-1 (the old number was 1-1-7, but 9-1-1 replaced it only August of this year). The Red Cross can also be reached at 1-4-3. Need more numbers, like the DSWD or MMDA’s flood control hotlines? Try this list. Alternatively, you can sign up to be a member of a service like Lifeline. This is currently available only in Manila, though, but it is a nice thing to have when you need immediate emergency assistance. 5. Keep a list of the closest hospitals always in your pocket/wallet. It helps if you also make note of which hospitals are proper trauma centers. Not all hospitals are prepared to deal with emergent trauma cases—in short, the patient may lose even more time having to be shuttled from one hospital to the other. Keep in mind that wasting time at an unsuitable hospital can sometimes mean the difference between life and death if the case is truly severe. This is just the start. Generally, it is hard to be “too prepared” when it comes to emergencies. Do you know any other good emergency preparedness steps Filipinos should use? What about go-to emergency tools? Share them with us and other SeriousMD users in the comments below or Tweet them to us!